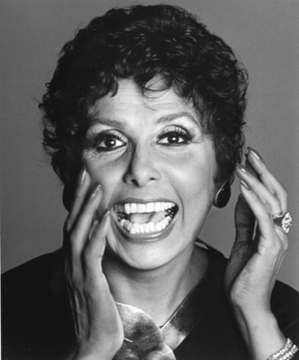 At the movies, the young Lena Horne, who died yesterday at 92, was such a complicated star. This beautiful light-skinned black singer was as close to a white woman as most black actors could get. She was the object of desire in both "Cabin in the Sky" and "Stormy Weather," the only two movies she ever truly starred in (when it came to casting, Horne was jilted enough to make Miss Havisham look like Elizabeth Taylor). In "Cabin in the Sky," a kind of "Faust" musical from 1943, Eddie Anderson's pursuit of Horne, at the expense of the long-suffering, fuller figured, darker skinned, deeper voiced Ethel Waters, gave the film's its timeless complexion subtext. But Horne never pretended to be anyone she wasn't, which meant that by the 1950s, racism had more or less made her sick of Hollywood. She'd become an activist, and after a while, it was obvious she was wasting her time trying to broaden the minds of movie studio executives. Slimming her career down was her best move. Horne was one of those performers who got better, stronger with age. In front of a live audience, she was both theatrical (the stage belonged only to her) and cinematic (Mr. DeMille, she can make her own closeups, thank you). As a singer, she didn't have range or pyrotechnics. Her voice had drama, texture, and shape. It had character. She was a very alluring singer (defiant, sexual, wise, so amazingly cool), a very comical one, too -- she knew where the joke was in a piece of music or in the stage banter between songs. Her success as a singer proved a curious upside to racism. The roles she gave herself vocally were a lot richer than anything she would ever have played at the movies. That voice was a film unto itself.